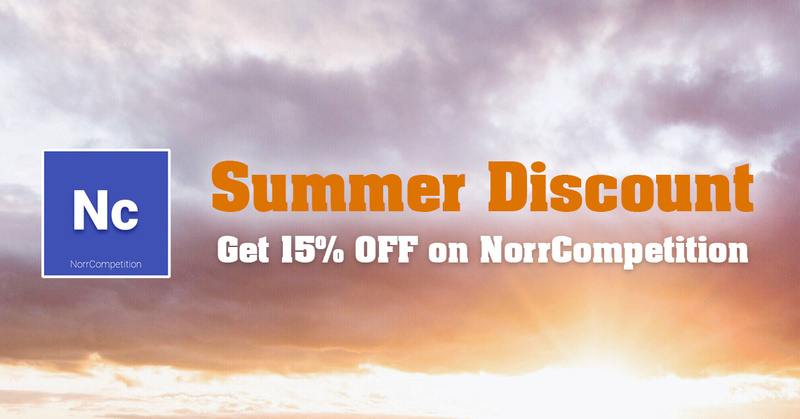 NorrNext has started Summer Sales and gives 15% discount on any NorrCompetition package for a limited time. On the eve of Christmas and New Year, we have been started NorrCompetition sales. We wish all clients a Merry Christmas and Happy New Year! 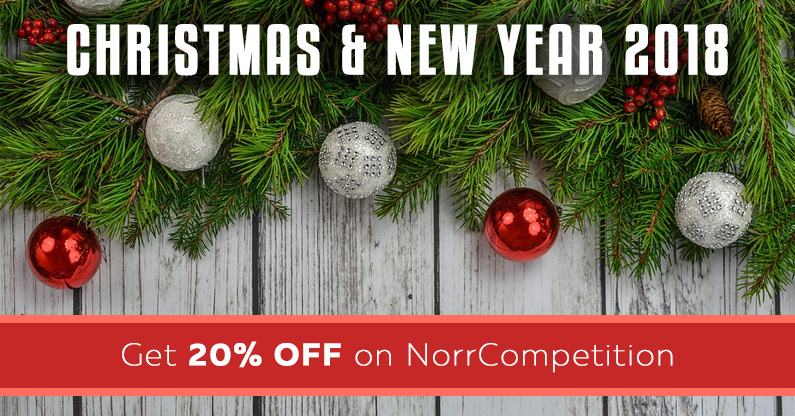 Now you can buy any NorrCompetition package with 20% OFF and get discounts from our partners. Today we have prepared a great discount for Black Friday that let you getting NorrCompetition component, its add-ons and bundle packs for profitable price! 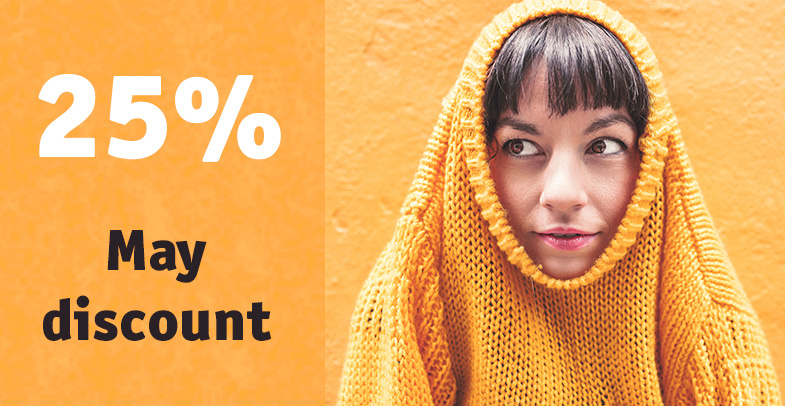 The discount is valid since 18th until 28th of November. Sale! 25% Halloween discount on all NorrNext extensions! Howdy? 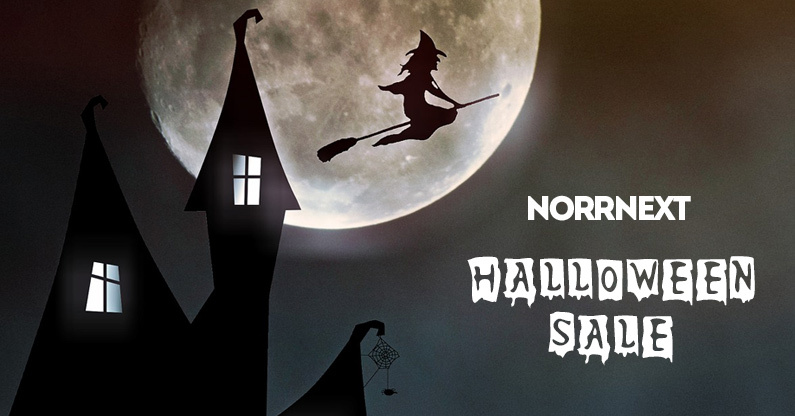 You'd be excited to know that we are offering a great 25% discount on all NorrNext extensions in the Halloween. The offer is valid from 29th October to 5th November 2017. Hurry up to save 25% on everything you purchase on NorrNext site before it is not too late. Grab the offer now. 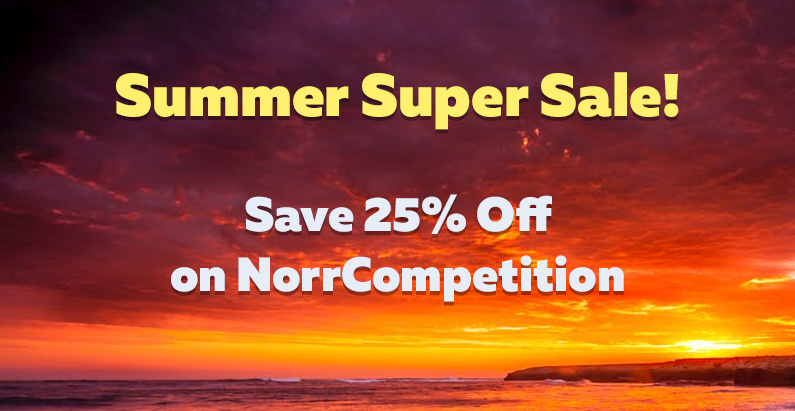 NorrNext has started great Sales on Summer Holidays and gives 25% discount on any NorrCompetition package for a limited time. May vacations are coming and it's time to offer Great Discounts. During May vacations you can buy any of our product and save up to 25%. Hurry up to get Joomla extensions with profitable price! The snow is falling and it's the best time to take a cup of tea and to make some useful purchases. 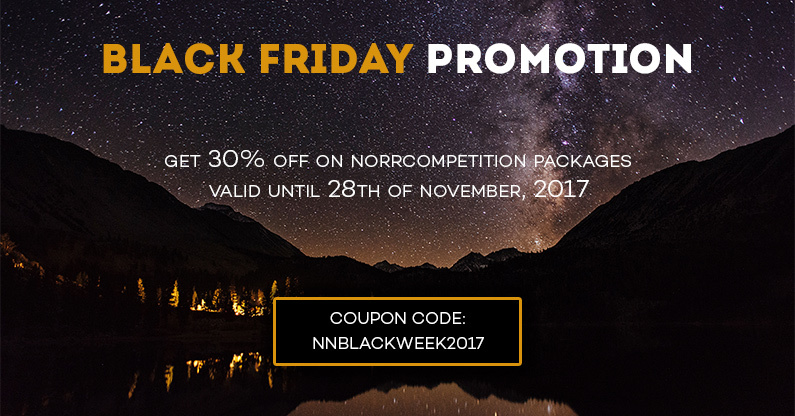 Hurry up to get great Winter discount on all NorrCompetition packages and save 30% from total cost! Today we have prepared a great discount for Black Friday / Cyber Monday that let you to get any of our extensions for profitable price! 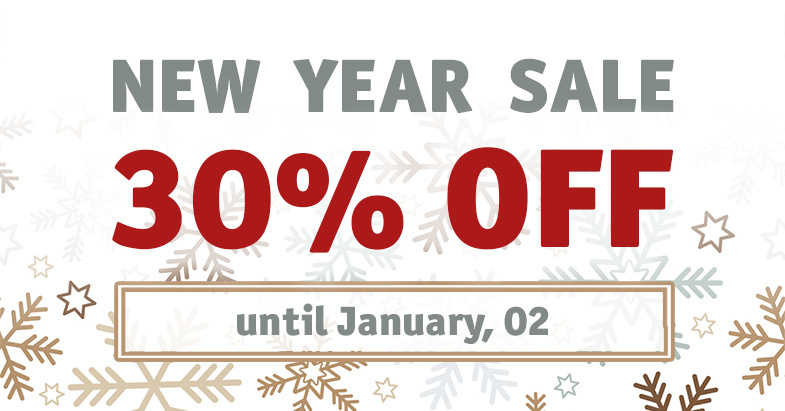 The discount is valid from 25th to 28th of November. Our partners ReadyBytes inc. celebrates 5th Anniversary of PayPlans product and you have a chance to became a lucky person and win a prize worth of $1392. 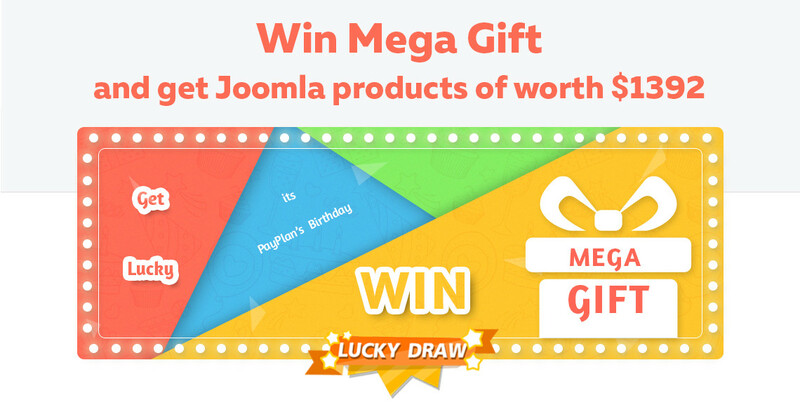 The winners will get products from reliable Joomla extensions and template developers summary on $1392! More than 14 providers and all is absolutely free.